Quantity of 9 horses for use with the Warhammer game. Horses have different accessories added and may or may not be complete. 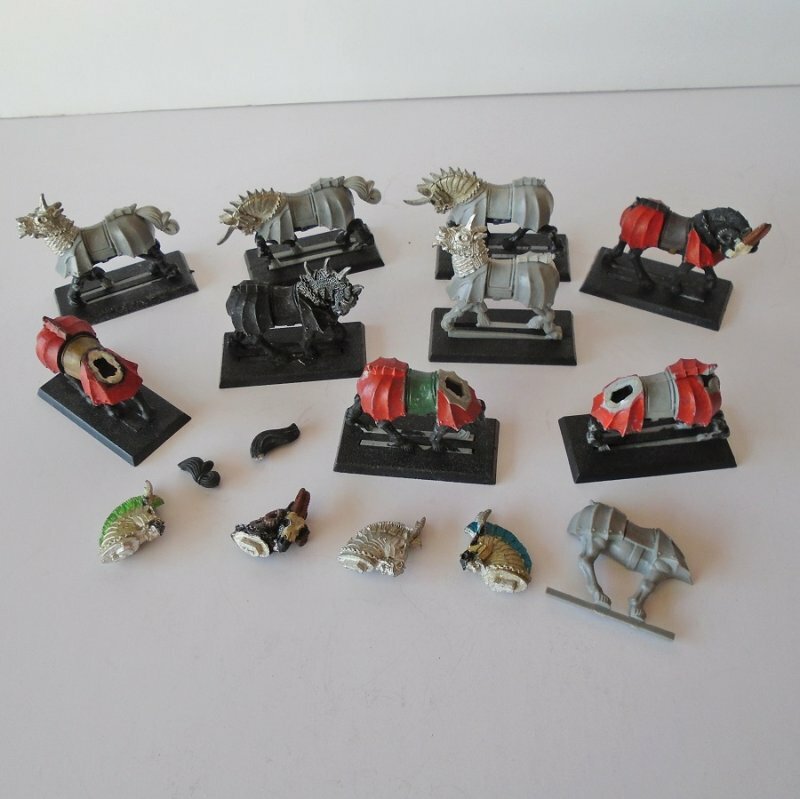 Offered in this listing are a quantity of 9 horses used in the game of Warhammer. They are not all exactly alike, meaning they may not have the same parts added to each one. I don't know what stage of completion they are in as I've never seen or played the game. Some have stands, some are painted. They are plastic.